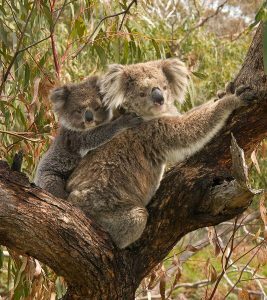 You are here: Home / Animal advocacy / Animals Today September 10, 2016: Helping Koalas. Expanded legal rights for animals in Oregon. Worst enclosures for cetaceans. Too many stray dogs in Dallas. This show begins with Lori and Peter chatting about koalas, in recognition of Save the Koala Month. Koala populations are shrinking due to habitat loss, predation by dogs, fires, accidents and disease. Peter also has three new California animal news items. Then, Peter welcomes legal expert Bob Ferber, who discusses the significance of a recent Oregon Supreme Court ruling acknowledging that animals should not be treated simply as property. Ferber explains that in this case a confiscated dog was treated more like a child than an object like a cell phone, representing another step on the road toward greater legal rights for animals. Lori continues with In Defense of Animals’ Dr. Toni Frohoff, its elephant and cetacean expert. IDA has conducted extensive research and published a list of ten facilities housing whales and dolphins which are particularly bad. We conclude with Peter’s discussion with J.P. Bonnelly, President of The Street Dog Project, on the problem of free roaming dogs in Dallas.